Document generation software allows users to generate, customize, edit, and produce data driven documents. These platforms can function as PDF creators, and document generators that pull data from third-party sources into templates. Document generation applications can leverage data from a variety of source systems like CRM, ERP and storage. Document generation applications should easily maintain brand consistency and offer conditional formatting. Documents created through these products range in functionality and can include reports, forms, proposals, legal documentation, notes, and contracts, among others. Document Generation reviews by real, verified users. Find unbiased ratings on user satisfaction, features, and price based on the most reviews available anywhere. Add stunning Document Generation & Reporting to your application by embedding Windward in your application. With smart document logic and an incredibly intuitive interface Windward will save you time & money. Apache PDFBox library is an open source Java tool for working with PDF documents. 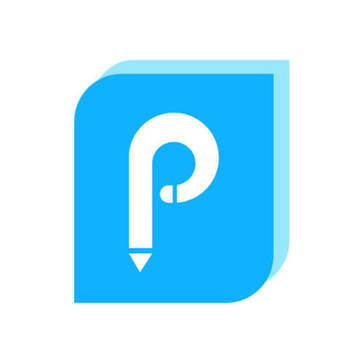 Overleaf is a collaborative writing and publishing solution. Apache Velocity is a Java-based template engine that provides a template language to reference objects defined in Java code. PDFescape is a totally free and open source online PDF reader and editor, as well as a PDF form filler with features for PDF form design. PDFescape offers users a new way to open and edit PDF files online. It allows for a much better PDF software experience by using the original document file format, allowing users to be not be constrained by typical software requirements. Due to the fact that this PDF editor can be accessed online, PDFescape only requires a modern internet browser and an active internet connection. Below are some of the features offered by this PDF editor. Online PDF Reader Natively open PDF documents in your preferred web browser Manipulate PDF pages with zooming and rotation features for an optimal viewing experience Copy PDF text to your clipboard by selecting your desired content Easily search PDF text for specific keywords and terms with ease Gives you the ability to save, download, and print all PDF documents Provides users with thumbnail, bookmark, and link support features and functionality Online PDF Editor Gives you the option to add text, shapes, whiteout, and other annotations to PDF files Crop, rotate, shift, move, delete and insert PDF files to create more custom files Easily create links to multiple PDF files or other types of web content Edit PDF information tags to help with identification Encrypt PDF content with password protection features Add additional images to PDF forms and documents Sign PDF documents using scanned and imported signatures PDF Form Filler Fill out PDF forms using pre-existing form fields or by using a text tool PDF field calculation and formatting features are supported PDF text, checkbox, radio, list, and drop down fields are available and supported Basic PDF field design and styling properties supported Allows users to quickly jump from field to field using tabs PDF Form Designer Create and add new PDF form fields to any existing PDF file Style PDF form fields with text, color, size features Modify existing PDF form fields to suit custom documents Fully supports checkbox, radio, dropdown, listbox, text, submit button and reset button fields in all PDF files Submit buttons are able to be created to be compatible with PDFescape Ultimate's publishing feature PDFescape also offers many more features as a PDF editor, including RAD options, PDF merging, and some of the functionality listed below. PDFescape Additional Features: PDF Annotator Premium Desktop Features Ultimate Desktop Features Webmaster Tools Additional Publishing Features Volume Licensing And many more! Vole PDF Creator is a PDF software that helps a business create PDF from scratch or existing file, convert PDF from Word, merge, split and watermark PDF, scan and OCR. With Vole PDF Creator you can create multilevel bookmark PDF with rich Text, pictures, hyperlinks, and MS style tables and preview in the built-in previewer. Apache Forrest software is a publishing framework designed to transform input from various sources into a unified presentation in one or more output formats. Apache FreeMarker is a template engine and a Java library to generate text output (HTML web pages, e-mails, configuration files, source code, etc.) based on templates and changing data. Fast, Flexible, Create as many documents as needed - for any type of plan, from the most generic to the most tailored. Prepare complete submission and supporting forms packages. RChilli provides a resume and CV management software. DaXtra Capture is an automated workflow solution and CV analysis software designed to help save time, increase efficiency and boost productivity. Docxpresso is a software package designed to simplify the generation of dynamical documents in a web server. FileThis is a smart assistant that automatically creates bill reminders and helps users to pay on time. OFIS Relius Proposals complete qualified plan proposal system offers you complete flexibility in plan design (including side-by-side proposals) for all types of qualified plans. Globodox is a scalable document management software that enables medium or large organizations to securely manage and share documents. It features an integrated set of tools that lets you scan, index, search, secure and share documents and keep an audit trail. Using workflow, Globodox helps you route documents electronically to help you automate your business processes. Extremely easy to deploy and use, Globodox is used by people in over 50 countries. 3D PDF Maker is a tool that allows creating PDF documents with interactive 3D content (such as leaflets, manuals, assembly instructions, presentations, product sheets etc.). ABCpdf.NET is PDF component library to generate, read, modify, and merge PDF documents. ActiveDocs is a global provider of document automation software. Our software helps large organizations with document generation and associated processes. To that end, we provide our customers with award-winning tools, resources, and training which together let them design and maintain their document automation solution internally. Template design is intuitive, taking place in Microsoft Word – this makes it “non-codey”. Business users can work on templates without involving IT developers. DaXtra Styler is a resume-formatting tool designed to work as an add-on to DaXtra Capture. Vista Solutions Group offers integrated document management solutions specifically focused on driving a paper-on-demand environment. DocFlow is an integrating workflow automation and enterprise resource planning software designed for the property valuation industry. Documaker dynamically creates, manages, and delivers enterprise communications to customers and stakeholders, when and how they want themwhether by print, email, text messaging, social media, or any other format. ElegantJ PDF library is a powerful Java class library that enables you to deliver business reports in printer friendly and professional looking PDF documents. ElegantJ PDF Library supports multiple languages including Chinese, Japanese and Korean (CJK) as well as Bi-Directional (BiDi) fonts, like Arabic. There is also an option to encrypt and protect PDF document. Innospire's Engagement letter generation systems simplifies engagement letter creation and management for Accountant and staff, reducing the risk of misunderstandings and ultimately improving client service and satisfaction. The first Web-based view and redline tool that not only lets users View, Annotate and Print over 200 document formats but also allows multiple attendees or reviewers to view/markup the document at the same time! FaaSForms automates the process of creating, approving and managing a wide range of forms and templates. Using an intuitive, web-based wizard to guide users through the creation of complex documents, FaaSForms empowers business professionals with a self service” approach supported by robust, intelligent workflow, business rules, and authoritative databases. The FileNexus Enterprise Document Management System is capable of capturing information of any type and from any source, securely archiving it and allowing for full business automation, in one single application. It is a modular platform that is cost effective on a departmental level, but scalable to the enterprise.